Choose Your Own Adventure Books Increase Kids' Reading Comprehension and Literacy Rates More Quickly Than Linear Stories. Independent Educational Research Study shows the increased effectiveness of interactive books in the classroom as Chooseco, publisher of the Choose Your Own Adventure series, celebrates its 10th Anniversary, and debuts new YA thriller WEREGIRL, at upcoming BEA — May 11, 2016. Students using Choose Your Own Adventure books gained an average of 23 more words per minute than those using linear books. Chooseco is celebrating its 10th anniversary this spring, after re-launching the world-famous Choose Your Own Adventure® series back in 2006. In the early 2000s, R. A. Montgomery and Shannon Gilligan took the leap to establish their own publishing house and revamp the beloved children’s book series. The small company ran from a converted farmhouse in Northern Vermont and in 2006, the original series’ 18 bestselling titles hit stores, with new artwork and updated text. Today, Chooseco is responsible for 10 million books in print in 15 languages and 20 territories. The publisher keeps a healthy backlist of fan favorites alive, with 42 “classics” in the style of the most popular books in the original series, for ages 7-12; 3 “Choose Your Own Nightmares;” and 24 “Dragonlark” titles for beginning readers with colorful artwork. “If we ever had any doubt of the importance of our publishing ‘project’ it was dispelled this past winter with the results of an independent study out of the Educational Psychology program at Miami University,” Gilligan, Chooseco’s current CEO and Publisher, recently observed. 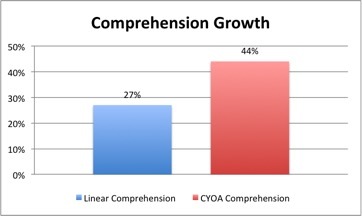 Students using Choose Your Own Adventure books gained an average of 23 more words per minute than those using linear books. The seemingly minor change of using interactive stories over traditional linear narratives made a significant impact on reading fluency. 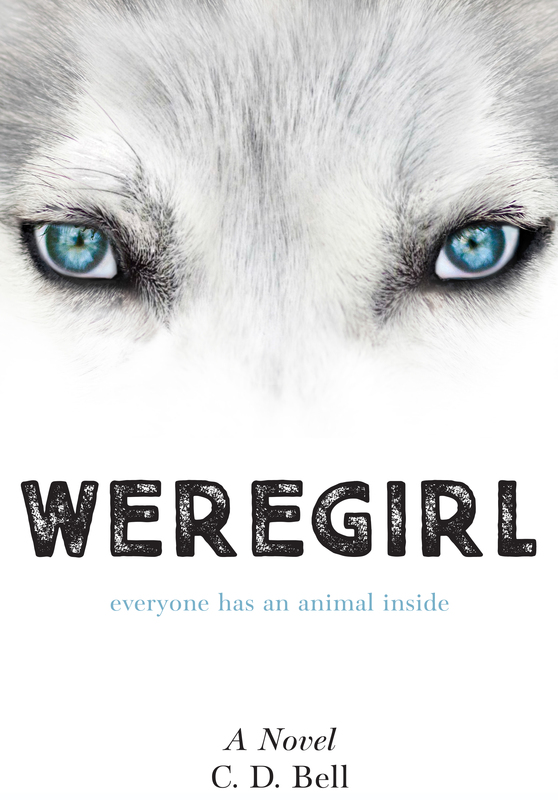 Chooseco debuts something entirely different in its 2016 Fall list with YA thriller Weregirl, a linear book detailing the magical transformation of cross-country runner Nessa Kurland into a shape-shifter after a seemingly chance encounter with a trapped wolf. Chooseco will be celebrating its anniversary, these exciting findings and the publication of Weregirl at the upcoming Book Expo of America in Chicago May 11-14. Please stop by Booth #1730 to pick up a copy of our whitepaper detailing the results of the 2016 Choose Your Own Adventure Reading Study, and to pick up a print galley of Weregirl. Weregirl eGalley is also available at http://www.weregirl.com, NetGalley: https://s2.netgalley.com/catalog/book/88615, and Edelweiss: http://edelweiss.abovethetreeline.com/ProductDetailPage.aspx?sku=1937133559&start=1. Founded in 2003, Chooseco publishes The Choose Your Own Adventure series. Widely commended for its appeal to reluctant readers, the series is the fifth bestselling book series of all time and fourth bestselling children’s book series, with more than 265 million copies sold in over 40 languages. Each story is written from a second-person point of view, with the reader assuming the role of the protagonist and making choices that determine the main character’s actions in response to the plot and its outcome. Find out more at http://www.cyoa.com. Megan Hofmann began work in education while completing her B.S. in Educational Psychology from Miami University (Ohio). She has taught a range of students in different settings, ranging from instructing an emotionally disturbed self-contained classroom in an urban public school district to teaching graduate students at Miami University. She currently is partnered in a co-taught closed classroom at Talawanda City Schools, where she uses authentic learning situations to research and problem-solve issues in education. To find out more about the Choose Your Own Adventure Whitepaper Study, Weregirl, or other Chooseco books, please contact Elizabeth Adelman at webmail(at)chooseco(dot)com or by telephone at 802-496-2598.